How can a bone spur be treated? A bone spur is extra growth of a bony material on a bone. It is also called an osteophyte. Bone spurs come in many sizes and shapes, and despite of the word “spur” that seems to suggest something pointy, most bone spurs a smooth. Bone spurs are just extra bone in a location where there is usually none. However some bone spurs, especially in the heel can actually be pointy like the name suggests. What causes a bone spur to develop? If bone is under stress due to inflammation, overuse, rubbing of other bones, injury or similar things, it reacts with building more bone. It is the natural reaction of bone as an attempt to protect itself from further injury. Bone spurs can therefore develop anywhere, where the bone is stressed. It usually requires the stress to persist over a long period of time for a bone spur to develop. This can be in a joint due to osteoarthritis, where the bone of the joint rub together, because the cartilage that usually prevents direct bone to bone contact, is worn and damaged. Other reasons for bone spurs are inflammation due to over-use as for example in tendinitis due to tennis elbow or Golfer’s elbow. Plantar fasciitis which is the inflammation of the plantar fascia called connective tissue on the sole of the foot often causes a bone spur to develop where the inflamed fascia is attached to the heel. There are many medical conditions that lead to the formation of bone spurs, like e.g. the autoimmune disease ankylosing spondylitis, where the immune system that usually protects us form pathogens like bacteria and viruses accidentally attacks the cartilage in the discs of the spine and bone spurs develop in the spine. The most common areas for the development of bone spurs are the heels, the shoulders, the neck, the spine, the elbows, the knee and the feet. What are the symptoms of a bone spur? Most bone spurs do not cause any symptoms, so that most people who have bone spurs do not know that they have them. If a bone spur, however, rubs against another bone in a joint, it can cause pain, redness, heat and swelling in the joint, and it can also reduce the flexibility and the range of motion of the joint. Sometimes bone spurs rub against tendons or ligaments. This can cause inflammation and pain in the ligament or tendon and can even cause a tear in it. A common location for bone spurs that rub against ligaments or tendons is in the shoulder and it can cause a rotator cuff tear or rotator cuff disorder. Bone spurs in the spine frequently cause a loss of motion. Additionally, they can pinch the nerves that come out of the spine, a condition that is called radiculopathy. Radiculopathy can be extremely painful and can also cause numbness, tingling, weakness and a feeling of the limb being asleep in the arms or legs, depending on which nerve is pinched. Bone spurs in the spine can also compress the spinal cord itself. This condition is called myelopathy and can be very painful. It can also cause weakness and problems with balance. 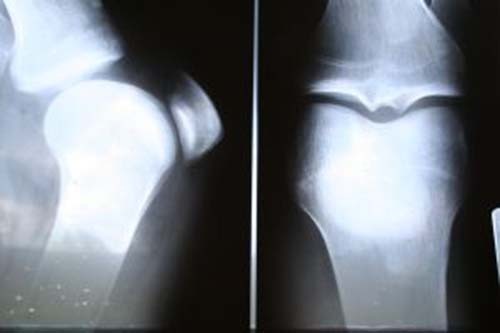 Most bone spurs don’t cause any symptoms, so sometimes they are being found on X-rays rather by coincidence than that they were actively looked for. However, in some cases bone spurs can cause joint pain, loss of motion and sometime seven further injuries to the joint. Nevertheless, joint pain and a reduced range of motion can have many reasons, with bone spurs being only one of them. X-rays of the painful area will show whether bone spurs are present, and whether they might be the reason for the symptoms. Massage for people diagnosed with enthesitis? Gout and a pseudogout are similar conditions caused by different crystal deposits in joints.